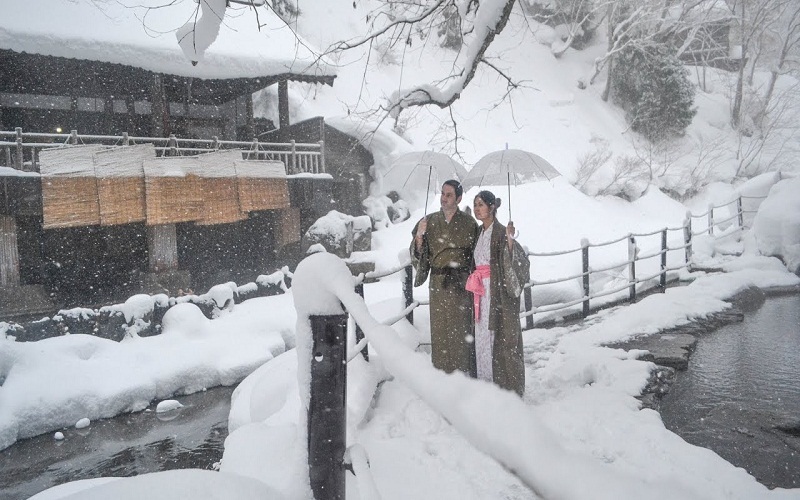 Travel to Japan in winter– En the winter months, the weather is cold in Japan. In addition, in many places of its geography are recorded some of the biggest snowfall in the world. That is why it is very important that you know the methods that the Japanese use to combat the winter cold. There is no doubt that traveling to Japan during the winter gives us the opportunity to discover beautiful landscapes and to experience many customs that we can not know about during the rest of the year. But I insist that in order to enjoy the maximum it is advisable to go prepared for the cold. Whenever they ask us which is the best time to travel to Japan, we usually advise against winter because of the low temperatures, which make the charms of the country look very depleted. 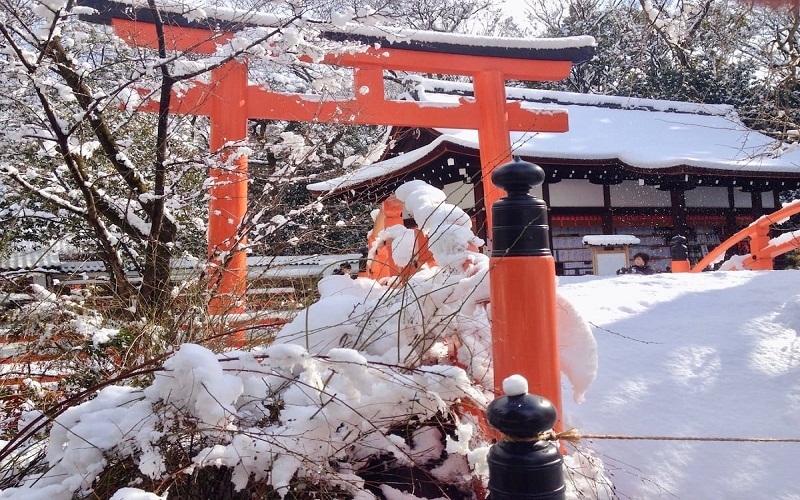 But in reality, traveling to Japan in winter is very interesting , not only for those who enjoy snow sports (here we explain the reasons why it is interesting to travel to Japan in winter ). In fact, traveling to Japan at Christmas, New Year and New Year is an unforgettable experience. In addition, many people who want to travel to Japan can only travel in winter due to schedule or budget issues . Therefore, it is necessary to overcome the winter rigors to enjoy this wonderful country to the fullest . The Japanese, who after all are the ones who have to cope with the low temperatures year after year, have devised and perfected all kinds of solutions over the centuries ( hot water baths , typical winter food , the famous kotatsu , kairo patches and even thermal clothes of last generation ). Thus, not only there are very sophisticated and modern ways to combat the cold, but they continue to endure some of the most traditional. We are going to give you some tips to cope with the winter cold in Japan . In recent years, a branch within the fashion sector has developed that has gained enormous popularity : the latest generation thermal clothing . It is no coincidence that this happened because, as we have already said, in Japan there are very low temperatures during the winter. The Japanese spend practically all day away from home, exposed to the rigors of winter. But there is another reason that in our opinion has helped to popularize high-tech thermal clothing: the Japanese custom of large cities such as Tokyo, Nagoya or Kyoto to dress impeccably and chic . For this reason, the inner thermal shirts or the polar linings and ultralight feathers allow you to go out in autumn clothes and even in suits, avoiding going bent, shivering and with a grimace on your face . As we have already said, there is no conflict between dressing in style and being warm . For this, one of the most widespread customs (and that best fits with the notable changes in temperature in winter between streets and places such as public transport or cafes and restaurants) is to dress by layers . For this reason it is very common to see people (especially women) that when entering a cafeteria or izakaya , they begin to undress, removing a good number of clothes and accessories. In addition, women in Japan usually carry two bags : one like the rest of women in the world, and another that is usually a pretty bag of, for example, a fashion store, where they carry drinks, maybe some food, maybe some slippers for when they are mounted on the train, some makeup and, in winter, additional accessories for the cold such as scarves, handkerchiefs and even kairo patches that we will see now . Those who prefer to be sexier tend to follow the ” gyaru style ” rule : the more you want to show off your legs or some other part of the body, the more layers you have to put on the rest. And if you are a man and you enter an office or sento you will see in the changing rooms the great amount of clothes that the boys wear under a, a priori, simple suit. They consist of a small patch made up of a chemical substance mixed with iron dust lodged in its interior that, by a chemical reaction caused when it comes into contact with air, produces heat . They are designed to carry in any area of ​​the body. The high technology of the Japanese air conditioners coexists today with the most traditional solutions to combat the low winter temperatures. One of the appliances whose presence was most common in homes when we started traveling to Japan many years ago were kerosene heaters or heaters, especially in the rural world and in huge stays in temples and sanctuaries. However, with the passage of time they have been losing importance in favor of the latest generation of conditioners . Particularly I hate them for the smell that they give off when kerosene is burned (an odor that I took to mania since we climbed the Fuji in 2011). Japanese air conditioners are famous throughout the world for their sophisticated designs and high quality performance that makes them incredibly quiet and very efficient in energy consumption . If you are going to travel to Japan in winter, we recommend that you learn previously to use the basic functions of a Japanese climate control system , because in many places nobody will surely help you to start them up. We will never forget the enormously pleasant sensation transmitted by the electric carpet of the house of the parents of our friend Miyuki, where I fell asleep deeply on New Year’s Day 2014. And it is that, in a country where the domestic life is made in the ground, the electric carpets are one of the best inventions to enjoy a warm sensation. On the other hand, the electric blankets, well known all over the world, are one of the accessories that are usually present in the houses of the rural Japanese world. If you know something about Japanese culture or anime and manga, then you will probably know this table so characteristic of life in Japan . It is a small table (since it is to be used sitting on the floor) that has a stove under the table, as well as a blanket to cover the legs and prevent heat from escaping. Something like the stretcher tables in Spain. Although it may seem somewhat old, they are still present in Japanese homes and are totally topical , with new and sophisticated models that are advertised every year on television. Japanese high technology has already achieved worldwide fame for many years by inventing robotic toilets . There are many different models, but basically all include the function of keeping the seat tempered . Some are heated by detecting a nearby presence and others simply stay warm all the time. One of the most common solutions around the world to combat the feeling of cold in winter is to eat very hot dishes with more calories. consists of a Japanese version of the typical Indian dish, curry . It is one of the most popular dishes in Japan. The recipe includes onions, carrots and potatoes. Also beef, pork or chicken. It is usually served together with rice and tomcats or other accompaniments. By the way, it is not eaten with chopsticks but with a spoon . It is a simple dish of different cooked ingredients, among which are usually the egg, the daemon, the konnyaku and the Chichewa (this is the complete list of ingredients ), cooked in a broth of knob and katsuobushi (dry bonito in flakes ), usually accompanied with spicy Japanese mustard as a seasoning. It is very typical to find it next to the counter of the convenience stores (or konini ) of the ” Family Mart ” chain , where customers can use the ingredients and the amount of broth they want, and the cashier will charge a price accordingly. But in addition, it is usual (we do it very often) to eat huge bowls of ramen , since, after all, it is something like the Chinese version of coccid madrilène. One of the elements that I envy most of Japan is the impressive amount of vending machines that are scattered throughout the country , with a huge variety of hot and cold drinks . It seems an absurd idea, but it is worth remembering that Japan is a few hours away from paradisiacal and warm destinations in winter like Okinawa, the island of Guam or Southeast Asia, with the perfect beaches of Thailand as the best claim. With the appearance of low cost airlines such as Peach, it is not unreasonable to spend two or three days in one of these destinations when visiting Japan. After the mild autumn, where the reddish colors of the trees cover most of Japan , with intense vermilion gardens, temples and palaces, the harsh winter arrives. However, the Japanese winter reserves places, festivals, gastronomy and unforgettable landscapes for those who venture to discover it. When is winter in Japan? Since Japan is located in the northern hemisphere, the beginning of winter (the winter solstice) takes place between December 20 and 23 . 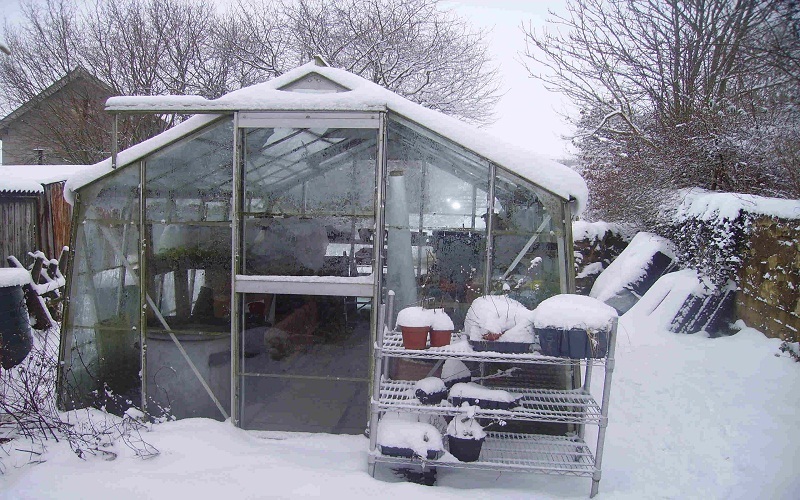 But from our experience, the arrival of winter is usually abrupt and occurs a few weeks before. Approximately mid-November. In a few days, the sky turns gray and temperatures drop significantly; especially the nocturnal ones . According to the rural tradition of Japan, the day that winter arrives was called and used to be approximately on November 8. The country enters a kind of lethargy. In the cities, people only go out to work. The villages are asleep, especially those of the mountains. The snow covers the north of the country. 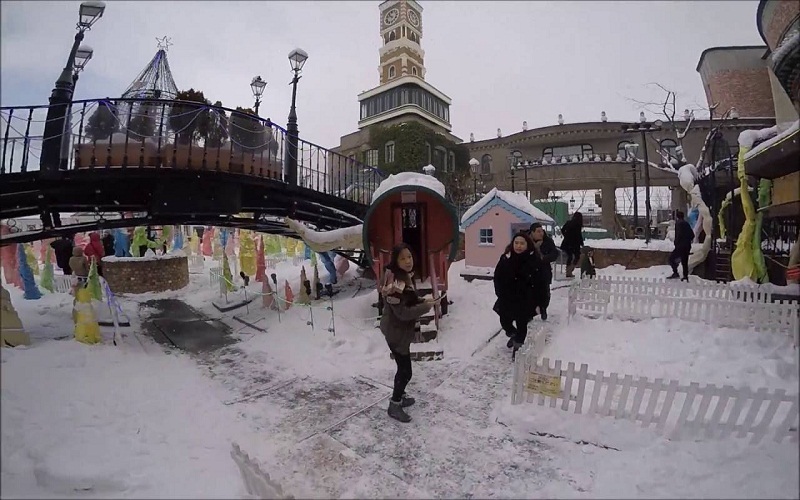 Is it a good idea to travel to Japan in winter? 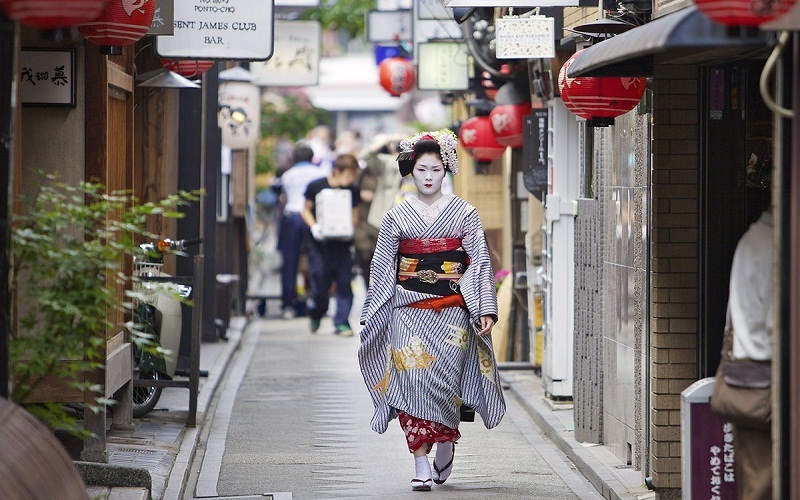 One of the most common questions asked by those who are going to travel to Japan for the first time is the best time to visit Japan. Japan is a country of contrasts. It is the only country in Asia that has the four seasons of the year as we know them in the West. In fact, there are more marked, which has led to the transfer to the artistic, aesthetic, gastronomic and many other orders. For example, we can find paintings, kimonos and fabrics with motifs from the four seasons. Furthermore, since Japan’s winter is very cold, it seems to have less charm for tourists , who prefer spring with its cherry blossoms, autumn with the change of color of the leaves of the trees, or summer with its high temperatures, the greenery of the fields and their colorful festivals. However, after having visited Japan in winter several times (in a few days we will visit again in winter), we like it almost as much as the other eras (which we also know well). Therefore, we believe that there are good reasons to travel to Japan in winter. Finally, it is not the first time that we comment that Japan is a country of contrasts where the four seasons of the year are very marked . Although spring and autumn are very popular with tourists because of the cherry blossoms and the change of color of the autumn leaves respectively, winter in Japan is becoming more fashionable thanks to the snow. And the Japanese Alps, Tohoku and Hokkaido are ideal areas for lovers of skiing and snow sports. 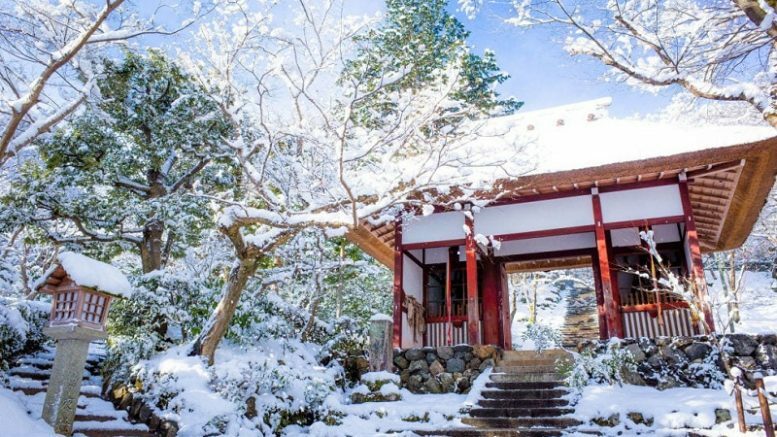 To encourage you to travel to Japan at this time and to convince you a little more about why it is worth doing, we leave you our 8 reasons to travel to Japan in winter. 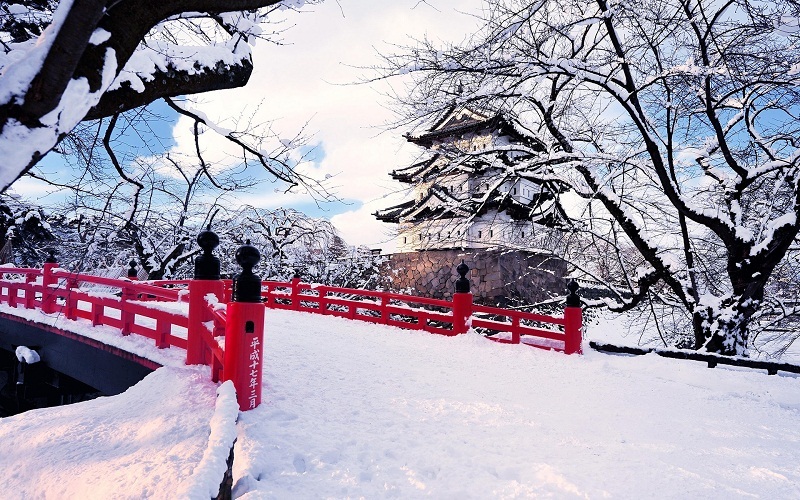 Also, we tell you some points to keep in mind if you travel to Japan in the months of December, January and February, which are the months that comprise travel to Japan in winter. Be the first to comment on "Travel to Japan in winter: tips to fight the cold"